Perry is back on the job, and it�s a dog day when he must defend Amos Keller�s mutt for biting Gerald Thornton. Later he defends Keller�s granddaughter for murdering Thornton. Fans of Spaghetti Westerns will recognize Lee Van Cleef, who played Ugly in The Good, the Bad, and the Ugly, as Edward Doyle in this episode. Webmaster�s Note: Knowledgeable fans know that Lee Van Cleef was the Bad (aka "Angel Eyes") in The Good, the Bad, and the Ugly. Eli Wallach was the Ugly. Thanks to Susan McNeel for pointing this out. Natalie Trundy makes her first of two appearances here on Perry as Sandra Keller. Natalie Trundy was one of only two actors (Roddy McDowell being the other) who appeared in 4 of the 5 Planet of the Apes films. Ms. Trundy played both an ape and a human in the films, which her husband A. P. Jacobs produced. Submitted by PaulDrake 33, 29 September 2009. + In May 1963(just 2 months after this broadcast), Natalie Trundy was struck by a car and had a serious back injury. She had to wear a back brace for 1 year, which affected her acting career. (Sources- Wikipedia, natalietrundy.com) Submitted by Bob61571, 5 December 2017. This is likewise the first of two (rather closely spaced) episodes for Arthur Hunnicutt. Coincidently - or perhaps not, given the type of character he played - in his sole Twilight Zone appearance, he also co-starred with a dog. Submitted by Notcom, 022416. Uncredited Actors: Don Anderson does double duty again in this episode. He�s a spectator early in Sandra�s hearing, and then he plays the bailiff who holds the leash of the dog Hardtack near the end of the hearing. Submitted by FredK, 3 Nov 2010. Character Names: For completeness, Arthur Hunnicutt�s character should have been listed as Amos Kenesaw Mountain Keller. 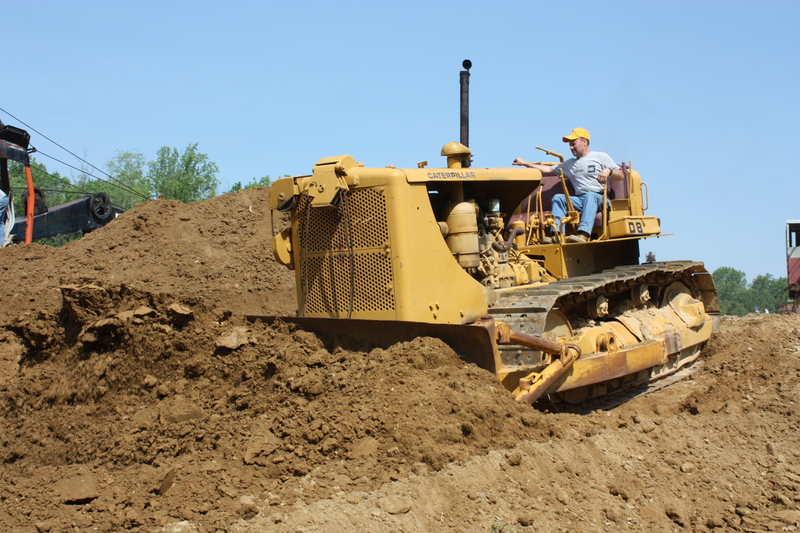 Additionally, in the first scene, Thornton addresses the Earth Mover Operator as Brian or Bryant. Lastly, the Coroner�s Physician played by Michael Fox is likely the same Dr. Hoxie that has testified in earlier episodes. Submitted by g, 1/29/2011. Sightings: Some of our favorite frequent faces break out in some very different roles today. Our �Miss Carmody� has a new job as banker Osgood�s secretary; we catch glimpses of her as Grimsby and later Thornton enter the office. (It is unclear whether the voiceover on the intercom is the same actress.) During the hearing about poor Hardtack the dog, Distinguished Gentleman #1 for the first time is a bailiff instead of a spectator in the courtroom. But then at Sandra�s hearing, he�s back in the gallery, along with Quiet Old Man #1 and Little Old Lady #1. Submitted by g, 1/29/2011. Vic Perrin did many voiceovers for and appeared once on the original Star Trek TV series. Submitted by g, 1/29/2011. For Amos Keller to have been a veteran of the Spanish-American War (a.k.a. the War of 1898), he would have had to have been 80 or 90 years old. The actor Arthur Hunnicutt was only in his fifties at the time. Submitted by g, 1/29/2011. + Actually, in year 2014 there are around 35 children of Civil War Veterans still alive in America according to groups that monitor these things. This despite the conflict being over for 150 years. Submitted by PaulDrake33, 21 November 2014. (1) Gerald Thornton's medium color 1963 Buick LeSabre Estate Wagon w/ roof-rack & cornering lamp options, SUNRISE HILLS panel on doors. '56-pattern yellow-plate, maybe Lic No YOG 922 (unclear). Could be the same car as Constant Doyle's wagon in Ep#169. (2) Edward Doyle's medium color 1955 Willys Jeep CJ-5 with side-mount spare, black windshield frame & mirror plus A-frame on front bumper. Lic Plate is '56-pattern yellow. This same CJ-5 made half an appearance as Car(2) in Ep#151. 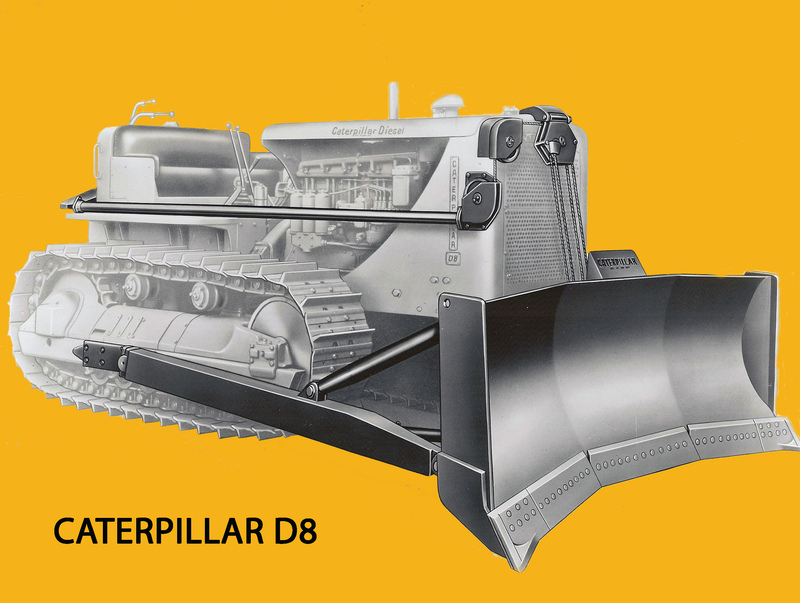 (3) Earth Mover Operator's 1945 D-8 CATERPILLAR Crawler (or later) with front-cable-controlled dozer blade. Notice the last letters of "CATERPILLAR" on the radiator and on the plate on top of the blade; also part of a large "8" on the side of the operator's seat. (4) Jim Wheeler's two-tone 1957 Ford Fairlane 500 Club Sedan (2-door). (5) Dogcatcher's light-colored 1955 or 1956 Dodge Town Wagon. From the windshield back it looks much like this later example. More 55/56 Town Panels & Wagons at townwagon.com. (6) Paul's black 1962 Thunderbird Convertible top down, Licence Number XCF 016 ('56-pattern yellow-plate). Paul drives Perry and Sandra to meet Jim at "Las Dugas & Sunset". (7) Perry parks his black 1962 Ford Galaxie 500 Sunliner (top down) in front of Paul's TBird at LA County Courthouse. Perry's '62 Sunliner was last seen in this same shot in Ep#166. (8) A decorated, medium-color 1963 Buick Wildcat Convertible top down, picks up Amos & Hardtack for the Veterans' Parade. Same car appears in Ep#178; more on Wildcat there. (a) Probable 1949 Oldsmobile 98 Convertible, top up (Screen Right at 28:47). Rear window panel is unfastened & open. '63 BLACK-PLATE stands out against the car's white paint. (b) 1959 DeSoto Station Wagon, rear plate not seen. Advertisement here, factory price for the 9-passenger model was $3508 (a 9-passenger Chevy Kingswood was $2852). (c) Parked to rear of (b), closer to camera, a 1955-1958 Metropolitan (no side-window vent wings makes it 1955-58). '63 BLACK-PLATE on rear-mounted spare. (d) To Left of (b), an early '60s VolksWagen Beetle with 56-pattern yellow-plate. (e) A 1955 Packard Clipper Super Panama (2-dr hardtop Sport Coupe, $2766) or Clipper Constellation ($3076), parked on the street just outside parking lot. '63 BLACK-PLATE stands out against white rear end at 29:40. Priced about the same as a '55 Olds 98. (f) White 1960 Valiant, 56-pattern yellow-plate (31:01), parked in driveway across the street. It's reasonable to conclude that this episode was filmed in early January 1963 during a transition period in which the old 1956 yellow-plates and the new 1963 black-plates were both valid. This timing is consistent with filming taking place following Raymond Burr's December 1962 hospitalization and six to nine weeks prior to the Original Airdate. Added by Gary Woloski, 9/12/13. +Perry's client also testified in episode #38, TCOT Terrified Typist. Submitted by PaulDrake 33. 22 January 2015. In yet another example in Perry Mason of an attractive young woman disregarding her personal safety, we see Janis Carr, clad only in a bathrobe, answer the door. Luckily for her it was only a leering Paul Drake. Submitted by 65tosspowertrap, 11/13/2013. Mr. Grimsby wears Hamilton Burger's hideous spotted bowtie in the banker's office, and again in court while on the witness stand. jfh 17Dec2018. The Spanish-American War was waged from April 25-December 10, 1898. 110 Medals of Honor were awarded, including one to Lt. Col. Theodore Roosevelt 103 years later! Mike Bedard 2.10.15. Vic Perrin is credited as "Assistant D.A. Rice," but wasn't he called the CITY ATTORNEY in the script? "The LA City Attorney is an elected official who serves as the city government's attorney & as a criminal prosecutor for Misdemeanors. The LA County District Attorney prosecutes Felonies," en.wikipedia.org/wiki/Los_Angeles notes. Mike Bedard 5.29.16.